At Wood Lumber Co., Inc., we manufacture a variety of wood products. In addition to manufacturing custom lumber, we offer specialty siding and ceiling partition patterns. If our commitment to supply quality products at affordable prices appeals to you, then give us a try! Take a moment to review the information we've provided here and feel free to contact us if you have any questions. Thank you for visiting woodlumber.com! Wood Lumber Company, Inc. is a diversified, family-owned business. We offer sawmill, steam conditioning, custom kiln drying, re-manufacturing, engineered wood products and reload facilities in south Arkansas and southeast Oklahoma. 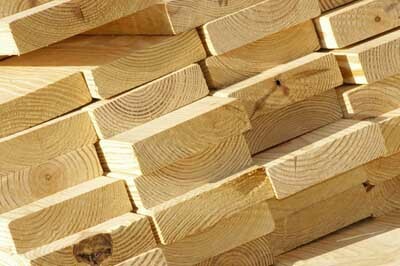 We also offer a wholesale division of lumber products from supply contracts with major producers. All this is managed from our corporate office in Camden, AR. For over 60 years, Wood Lumber Company has grown from mostly hand labor to advertising on the web. These years of hard work have taught us many valuable lessons. First, anything worth doing is worth doing right. Second, treat others as you want to be treated. And third, don’t try to make it all on one sale. If our commitment to supply quality products at affordable prices appeals to you, then give us a try. The goal of Wood Lumber Company is to continue to expand as a quality supplier of products and services. orking to service our customers' needs who have placed their trust in us. ffering quality products that enhance our customers ability to grow in their business. perating with good business ethics that develop customer and vendor loyalty. eveloping sound environmental principles that leave our part of the world a better place.